<aside> element is used to define as the division of the page with content connected indirectly to the rest which could be considered separate from that content. <aside> content should be related to the neighboring content. <aside> tag supports Global and Event Attributes. <aside> tag belongs to Flow content, Sectioning content and Palpable Content category. 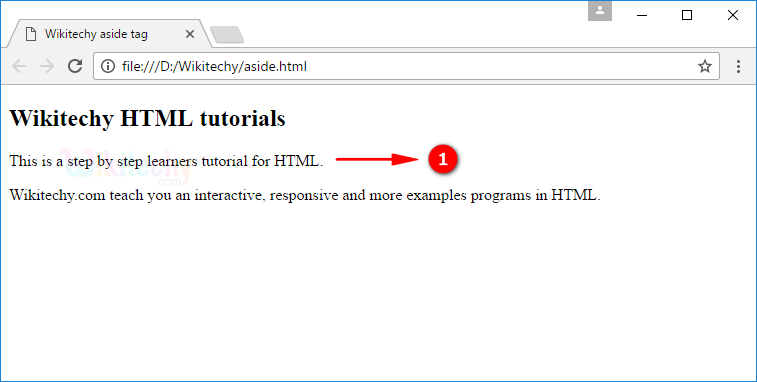 HTML 4 does not support <aside> tag. HTML 5 support <aside> tag. 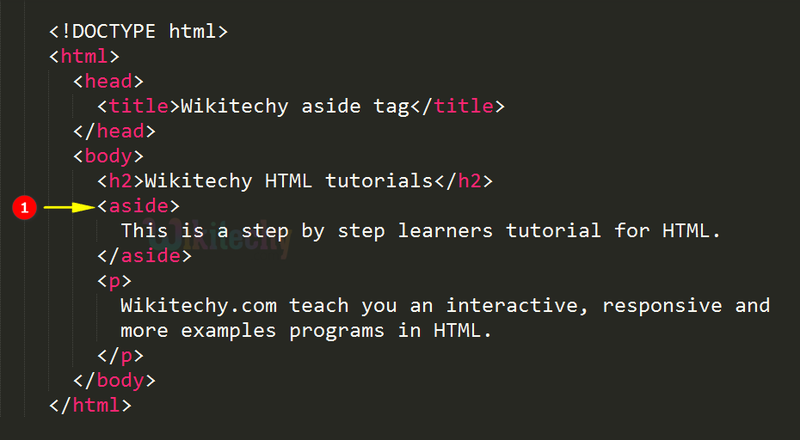 This is a step by step learner tutorial for HTML. <aside> tag is defines its content related to the surrounding content. The output shows the <aside> tag contents.